Our ready-to-cook cured USDA Beef Brisket has all the mouth-watering tenderness and traditional corned beef flavors that make a holiday meal special. Just add your favorite sides for a meal you’ll be proud to serve your guests or family any time. Beef Brisket Cured with Water, Salt, Sodium Phosphate, Sodium Erythorbate, Flavorings, Sodium Nitrite. EXCELLENT ! Thank you. My husband and I are so happy to be able to have corned beef all year long. Absolutely the best ever! Where can I buy this year round in the Denver/Boulder area. Thank you, Andrea for reaching out and for your compliment! Your request has been forwarded to our Consumer Center and they will reply directly to you regarding your question. I have been making corned beef dinners for many years, and Bill Bailey’s is the best I have ever tasted. I live in the Chicago area and would like to know where to buy it. My Costco store tells me they will have it again NEXT YEAR. What’s with that? Can it be ordered on-line and sent? Thank you Jane for your comment and inquiry. We’ve sent your question to our Consumer Center and they will get back to you. taste is excellent however you process it was sodium nitrate which has been known to be a carcinogen and a stomach irritant for many years. Please find a way to make this fabulous recipe without sodium nitrate. Hello Diana and thank you for your comments. Your question about sodium nitrate has been passed on to our Quality Assurance team and they will respond to you directly. This fabulous product we purchase at Costco. It’s easy to microwave per instructions but I did 12 minutes as opposed to 18 recommended on the package. There was no fat to speak of and it slices perfectly for corned beef and Swiss melted in oven with mustard on a crusty outside and soft hoagie roll. Five stars for this gorgeous hunk of deliciousness. I love your corned beef better than any I have ever had but I cannot find it in any stores any more. Can you please tell me where I can find it? My zip code is 91311. Anywhere in the west San Fernando Valley would be great. Hello Kitty and thank you so much for your compliment and for your inquiry. Our Customer Service team will respond directly to you with retailers that carry our products in your area. Can you advise if this is pre-seasoned. Or, does it come with a flavor packet. Thank your. Hello Annie, Our Corned Beef Brisket is pre-seasoned and ready to cook. Thank you for reaching out! This is my favorite brand of corned beef brisket there is no better. None of the grocery stores around me carry it anymore our military commissary used to carry it they don’t anymore either don’t know why. Wish they did I’d buy it. For now I just go to a restaurant and by a dinner. But not as good. Wish I could find it here in Rosamond California. U. S., do you send it to Canadian Costco.? I’ve tried all other brands of corned beef that you can purchase at the regular grocery store and they are all garbage compared to Bill Bailey’s. Whenever this goes on sale at Costco I buy at least 5 to stock my freezer. I wish they sold it year round in stores. Thank you, Rebecca for your support! We completely agree that Corned Beef dinners are great all year long. Best ever easy to prepare, wonderful. I HAVE A REALLY BIG COMPLAINT, you only make this available for a couple of months. How do I buy your product year around? Dee Kroeger: We got them at Costco year round. before that a local grocer store. So good! 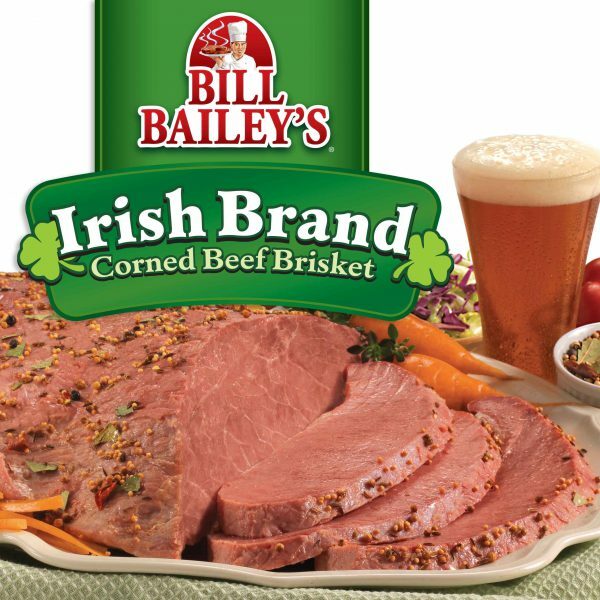 I’ve made Cornbeef for years, and Bill Baileys Cornbeef is SOOO good and convenient! Just wish I could buy it through out the year! My family would have it at least once a month if it was available!